Who knew lying on a bed of nails would be so relaxing? And disclaimer: This is an account of my personal experience with this product. 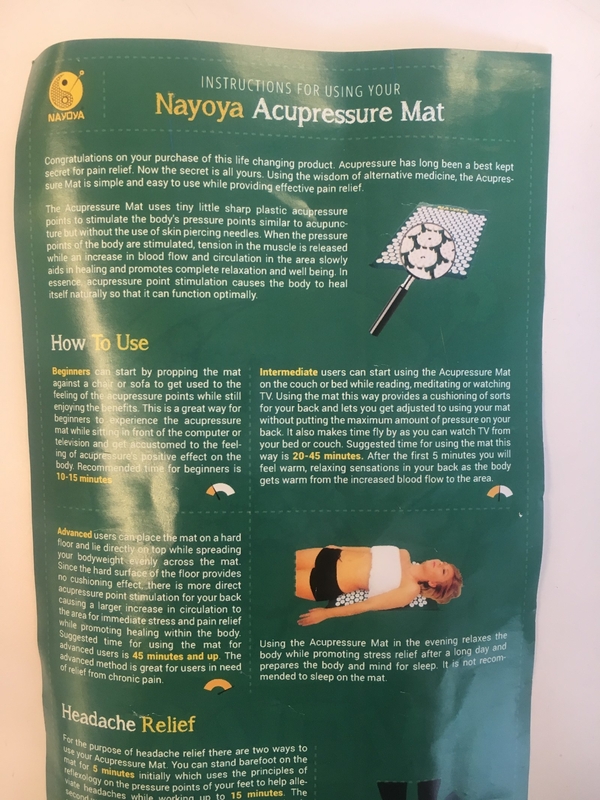 There’s no proven scientific evidence that acupressure mats can help back pain or other health issues, so I recommend talking to your doctor about your own issues before trying this. Acupuncture has been a small miracle for my back pain, stress, and intermittent insomnia. I’ve bought a special pillow for my back and slathered on sleepy lotions and created an elaborate nighttime routine for the insomnia. But acupuncture — which stimulates specific areas in the body with needles to promotes self healing, sleep, and a variety of other good body things — has been really helpful in addressing these issues in one fell swoop. The only downside is that I can't do it as often as I would like to. 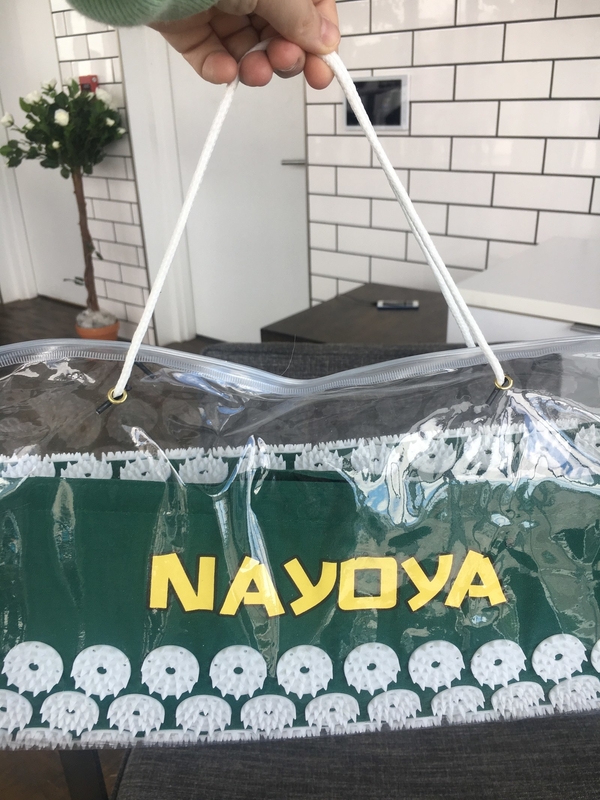 So when I found out about this acupressure mat, and saw that it promised to address all my woes (and then some!) from the comfort of my home for less than $27, I knew I had to give it a try. 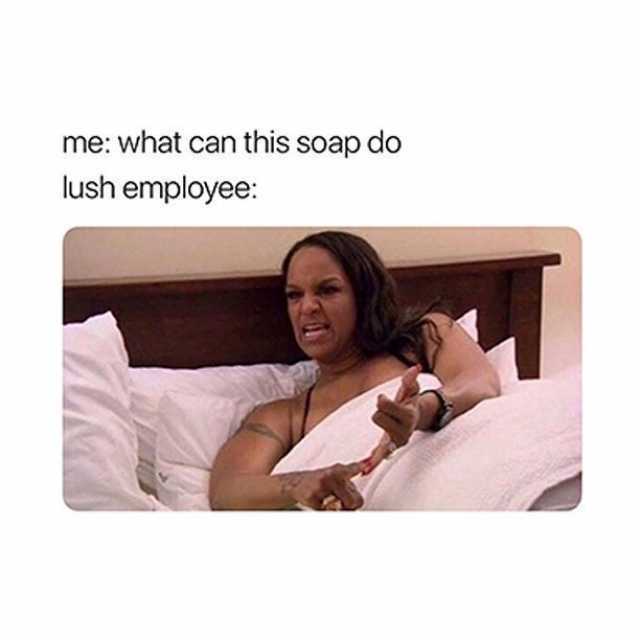 Lists of the things acupressure mats can do are a lot like that Lush employee meme. Lying on one for 15 minutes a day with bare skin can help fibromyalgia, varicose veins, systemic muscle tension, generalized aches and pains, and stress in general, according to Robert Doane, clinical director of Modern Acupuncture. 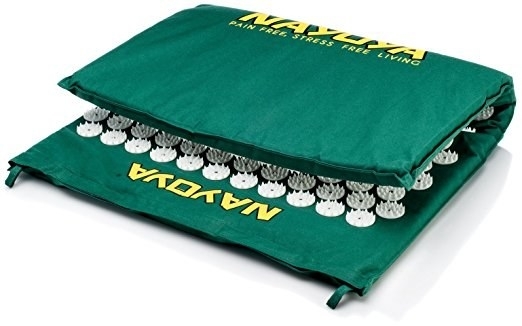 The mat's needle-like projections gently stimulate the sensory nerves all over your back, legs, and arms to flood your bloodstream and pain receptor sites with endorphins and enkephalins, decreasing pain, increasing blood circulation, and ultimately relaxing you. 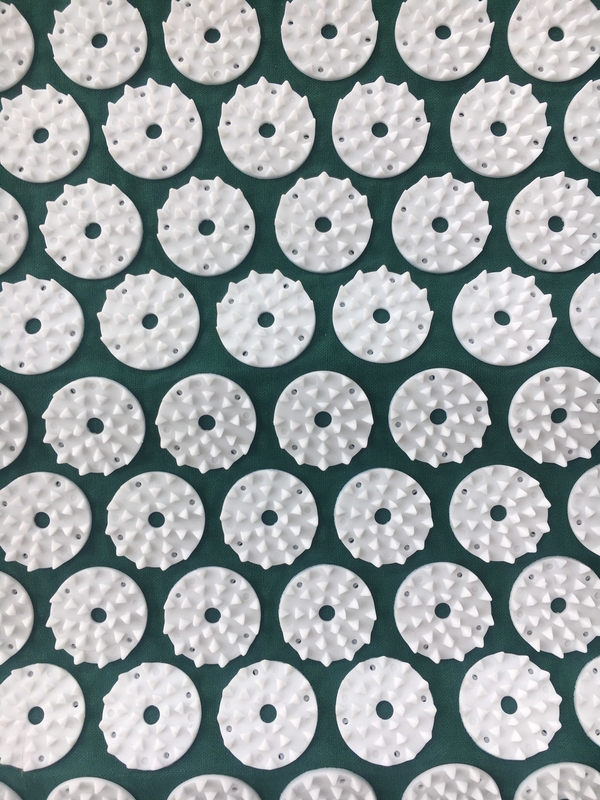 Acupressure mats aren't exactly like doing acupuncture: unlike acupuncture, the mat's needles don’t puncture the skin, so the effect is more general than the targeted one that you'd get with acupuncture, but they both do use point stimulation to help the body heal itself naturally. This one has 6,210 (!) pressure points, an A on Fakespot, and a lot of incredibly positive reviews. Beginners are supposed to prop the mat against a chair or sofa and lean against it for 15 minutes to get used to the feeling of the points. Intermediate users can put the mat on a couch or bed before lying on top of it for 20-45 minutes to get a little extra cushion. And advanced users are advised to place the mat on hard floor and lie directly on top of it for 45 minutes or more. The instructions also suggest standing barefoot on the mat for five minutes for headache relief. I’ve done acupuncture a bunch of times, but never used a mat, so I started with the beginner level, for good measure. I decided to use the mat at night, as the instructions say that “using the mat in the evening relaxes the body while promoting stress relief after a long day and prepares the body and mind for sleep.” Sign. Me. Up. I leaned against it for 10-ish minutes while watching TV and I didn't feel noticeably more relaxed afterward, but it did feel nice while I did it. The next day, I skipped the intermediate level and went all in — and this time, I actually saw the light. I was having period cramps that were giving me major back pain that day, so I lay on the mat on the floor without a shirt on and did a 15-minute guided meditation. I was low-key worried that lying on a mat of pointy plastic needles would hurt, but it really didn’t. In fact, for the first few minutes I barely felt anything and readjusted so I could actually feel it on my back. The 15 minutes went by really quickly — I was lying on the floor, with the lights out and a candle on, and man, when it was over, I felt BLISSED. OUT. I was so relaxed and loose and felt just like I did after really really good acupuncture sessions, and my cramps felt a lot better by the time I was done. That experience was so gratifying that I started working the mat into my nightly routine: now, I either do a guided meditation while lying on it, or watch some TV. If you aren't into the whole mindfulness thing or don't have time for that, you could also just lie on it while you text or watch TV — you can make whatever you want of it! 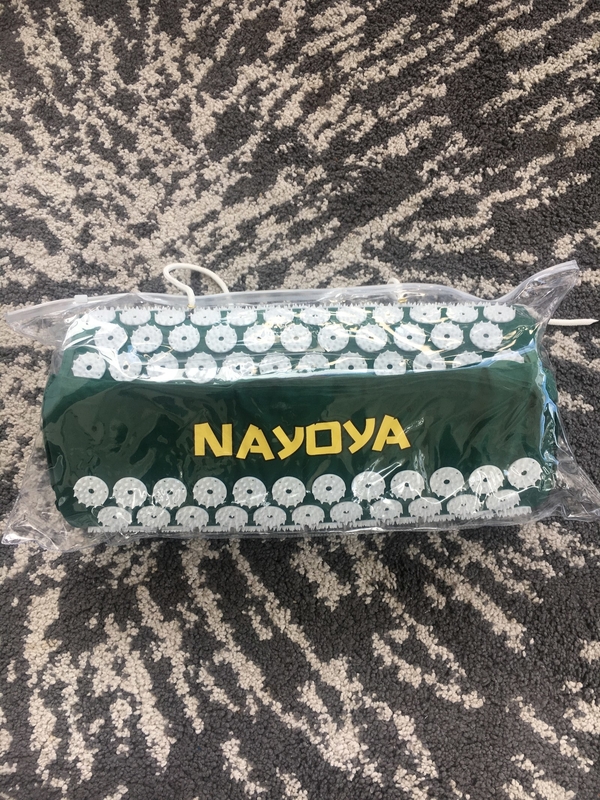 I started using a small pillow to prop up my neck, but you can buy a matching pillow to go with the mat. One caveat: If you’re laying on the mat properly, you will get a burning sensation in your back, but Doane told me that that’s caused by an increase in blood flow, so it's completely normal and actually good for overall health — because once the initial "WTF is happening, my back is on fire" fear wears off, you feel like you’re on a heating pad. I don’t know if it was the mat or the fact that it was a Friday night at the end of a long week, but I was WIPED OUT afterward. Like, I crawled into bed and could barely keep my eyes open for the rest of a Real Housewives episode I’d seen twice already, so...thanks, mat, I guess? Overall, the mat has brought a lot of relaxation and chill vibes into my life. Whether I’m meditating, watching TV, or scrolling through Instagram (don’t @ me), lying on it makes me feel so great that I don’t want to get up. My body feels so loosey-goosey and good when I'm done — my back, shoulder, and neck pain are definitely still an issue, but noticeably less so — and I have been sleeping like a rock. My nightly routine may be a little more elaborate now, but I'm not complaining. Get it on Amazon for $26.97, or get a similar one from Amazon for $25.99.